The police operation that led to the deaths of at least 34 striking miners in Marikana should not have taken place because of the defects in the tactical plan, the commission in charge of the investigation has concluded, the South African president has said. Jacob Zuma, in an address to the nation on Thursday, said the Farlam commission, appointed by the presidency in August 2012 to investigate the events in Marikana that left 44 people dead during a protracted wage strike, found the police plan to be “defective”. “The commission found that the police operation should not have taken place because of the defects in the [tactical] plan,” Zuma said. The president said that the commission also found that the allegations against Cyril Ramaphosa, now deputy president of the country, for being responsible for the massacre to be “groundless”. He said that the police attempt to disarm strikers was almost certainly going to result in “significant bloodshed” and that officials should have waited till the next day to persue their operation to end the strike action. Zuma’s address almost three years after he appointed the commission to investigate the deaths of 44 people during an extended mine strike in South Africa. “Since the commission was set up, no police had been charged, it was delayed tactics. the commission was to set up to delay the process,” Ngwane told Al Jazeera. Isaac Mangena, from the South African Human Rights Commission (SAHRC) told Al Jazeera that it was only a matter of time until the report was going to be released and that the commission would be studying the report in detail. But South Africans have been skeptical about the report. South Africa has seen a surge in police brutality and many activists feel that though Marikana turned the spotlight on the police, little will change. On Thursday, Zuma said the commission recommended a full investigation into the police officers involved. Among those fingered for fueling the tragedy was the mining company Lonmin, who was also criticized for failing to engage workers on their wage demands. Senior police officials, including the former police minister Nathi Mthethwa and national police commissioner Riah Phiyega – have been widely criticised for their role- were left unscathed by the findings of the report. 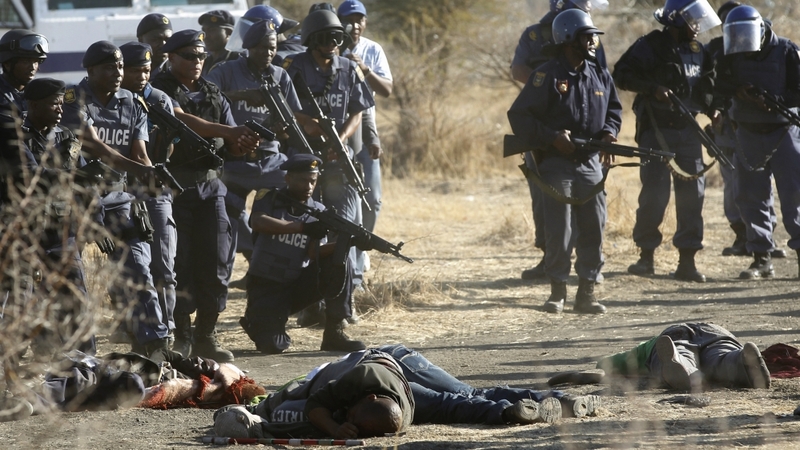 The post Police ‘defective plan’ to blame for Marikana massacre appeared first on African Media Agency.